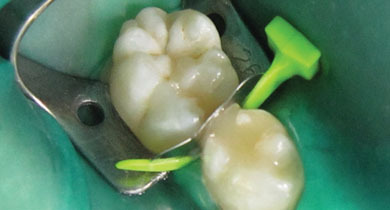 A unique combination of a preparation shield and a sectional matrix for Class II fillings in primary teeth. 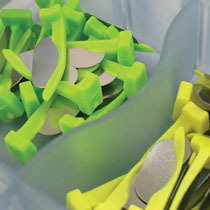 FenderPrime is a plastic wedge with a steel plate that inserts into the proximal space. 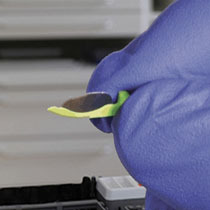 The boat shaped tip allows the gingiva to be condensed without damage and reduces the risk of bleeding. Before filling just bend it to adapt to the contour of the tooth. Available in regular 18pc refill or 100pc Value pack.